When Google changed its Ads interface, there was one noticeable difference anyone familiar with Google Ads immediately realized: they had eliminated "Average Position" as a default column view. Us advertisers didn't panic though, because we were able to still add the column by editing the view. Problem solved. Soon after, Google announced it was eliminating Average Position, while simultaneously crushing all of the spirits of people who leaned on this metric as a way of measuring keyword performance. For those unfamiliar with the metric, average position is pretty self-explanatory. 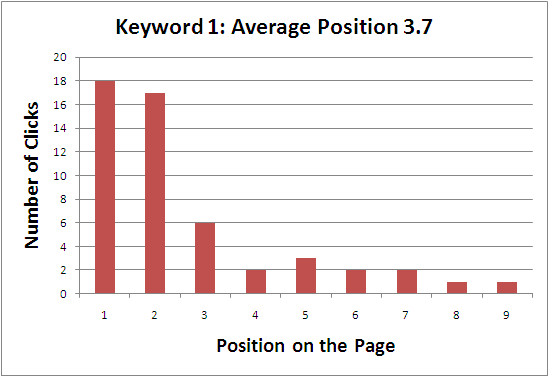 Keyword average position measured where your ad keyword was displayed on search engine results pages (at least in the ad section). For example, if your average position score was 2.3, it means your ads for that keyword were most often seen as the 2nd or 3rd ad on that page. This metric was fairly useful for advertisers, because it was a measure of how they should be handling their keyword bids. If you had a keyword that was generating conversions at a low cost per lead, but the average position was only 3.1, then you would increase your keyword bid in order to gain more visibility for this well-performing keyword. If your keyword was generating a lot of leads but at a high cost per lead, then you may reduce the bid and sacrifice some average position to obtain better value. If It Was Valuable, Why Is It Going Away? As Google continues to make updates to how and when ads are displayed, average position has become a poor way of measuring the effectiveness of your ad. It has become more important to know where your ad is shown, as opposed to what rank you are in a list. In conjunction with more advanced metrics like ad rank and search impression share, average position seems like a relic of advertising past.